Now, most owners already know how to use their Mi Band 2, but do you really know the right way to maintain your pride and joy? We has put together the few general maintenance tips to let you enjoy yours amazing Mi Band 2 even longer. 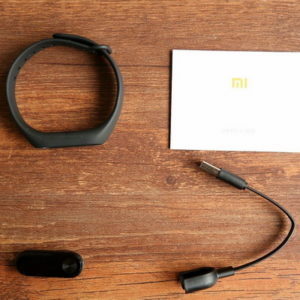 So today we know how to clean your Mi Band 2 . The Xiaomi Mi Band 2 is really a good budget heart rate fitness tracker. It can keep tracking your activities like sporting, exercising, sleeping, and etc., managing your motions every second to simulate you into moving or exercising more and take good care of you. If you use the Mi Band a lot while showering, the shower foam, soap, and oil will go into the wristband, even the 2 pins of the sensor. And the charger will remain the dirt in the air day by day that you can see. Moreover, some dirt is not visible to the naked eye. If you’ve ever found your Mi Band 2 becoming dirty after prolonged use, this is completely normal due to both sweat and stains. It’s therefore necessary to disassemble and clean Mi Band 2 on a regular basis. Step 1. Remove the main unit from the wristband. Step 2. Smear shower gel or laundry detergent on the areas that need to be cleaned – the groove and the unit edges tend to attract the most dirt. Rub the detergent into these areas and thoroughly rinse with water. The rubberized wristband is easier to clean, just use a wet cloth and wipe clean. Step 3. The smart wristband may get into a worse situation – the charger contacts and sensor pins have been oxidized. To solve this, we need a cotton swab, some anhydrous alcohol or just simply a blade. 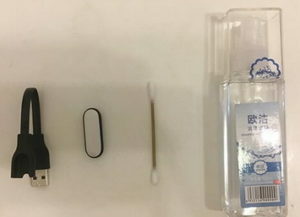 ● Dip the Q-tip with some anhydrous alcohol, carefully scrub the sensor pins. ● Then, we are going to clean the USB cable contacts in the same way. ● Last but not least, before trying to charge again, be patient to wait for a few minutes till the alcohol is volatile. Step 4. Dry your Mi Band 2 with tissues. Note: To prevent water damage, do not wash the metal head on the underside of the main unit. Try not to touch the pins with your finger because that can leave oil or dirt on it. Do not charge with your power bank because the current of the fitness tracker is too small (input current: 25mA (TYP) and the power bank cannot even detect it.